It’s official. 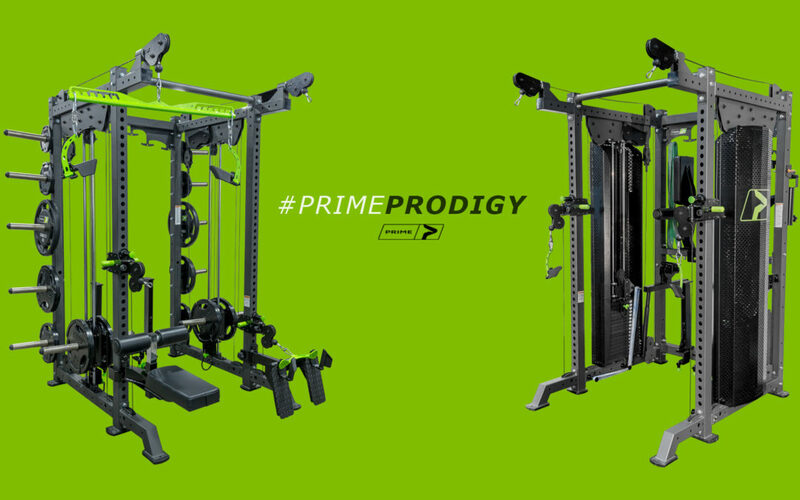 The PRIME Prodigy Racks are now live and available for purchase! Launching new products is always exciting. It’s the culmination of ideas, planning, and hard work – all of which the Prodigy line required high doses of, and our team delivered. 2.) we wanted to join the party driving innovation and quality in the space too. The Prodigy Racks really do blur the imaginary lines that have been created between “commercial” and “home” equipment. After all, they aren’t as different in 2019 as you might expect. Fact, we have customers with home gyms that make even the most amazing commercial gyms look average. Fact, people are training smarter than ever before, turning to science to maximize execution and performance. Fact, it’s our job to the develop tools that perform at the same level of mechanics and versatility – and that’s what we believe the Prodigy line does. We also wanted to create something that people could customize and configure to maximize space and exercise versatility, but we took it one step further, with Prodigy you can do it over time – at the pace your gym evolves. Here’s a totally fictitious example. Budget Bob wants to build a gym in his home. So, Bob saves. Bob buys one standard PRIME Prodigy Power Rack. Bob has a sweet rack. Bob saves again. Bob buys the RO-T8 Pull-Up Station, Row Bench and Dumbbell Cradles add-ons. Bob saves more. Bob buys a kit to upgrade his Power Rack into a Prodigy HLP Plate Loaded Rack. Bob’s now ballin’. So, Bob buys a half rack to attach to the back of his HLP Rack. Now Bob has the best gym in town and it is in his garage. Bob wins. So, that was an overly drawn out and dramatic way to point out that the Prodigy Rack Line is essentially the equivalent of an erector set for adults who never really grew up and really like to train. Yes, you. Anyway, we are super excited to share this line and overwhelmed with the initial response – overwhelmed in many ways. Thank you all for your support and make sure you’re following us online for all the latest content and news! PRIME Fitness, the leader in science-forward strength training equipment, has announced the addition of PGA Tour Superstar, Bryson DeChambeau, as an ambassador for the rapidly growing brand. 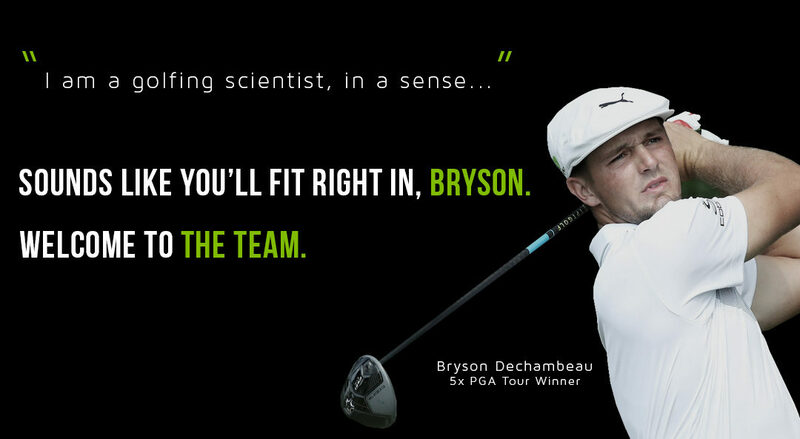 DeChambeau, who has accumulated five PGA Tour wins since 2017, credits his innovative scientific approach to the game of golf for his rapid rise to the fifth ranked golfer in the world. Most notably, DeChambeau’s “single length” irons and “one-plane” swing have earned him the nickname “The Scientist” on tour. The partnership with DeChambeau is a natural fit for PRIME’s brand. Since the start of the company, PRIME’s singular focus has been the pursuit of greatness through the application of science and it is believed that there could not be a better real-world example of that than the way “The Scientist” is single handedly changing the landscape of a two-century old sport through science. 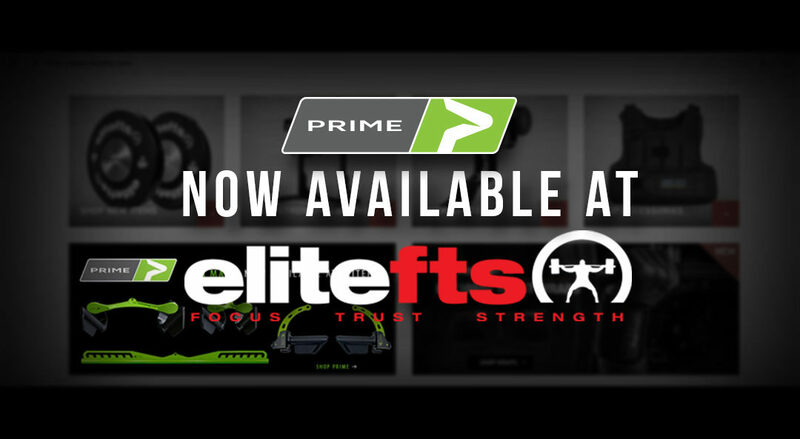 PRIME has been making waves in the strength training community since 2014, when the brand was launched, highlighted by its innovative SmartStrength technology, featured on each piece of PRIME Selectorized and Plate Loaded equipment. SmartStrength is the corner stone of PRIME because it gives the user the ability to dissect and target load a particular portion of the range of motion, fully training a muscle from origin to insertion. For a golfer like DeChambeau, looking to optimize both strength and flexibility, the ability to adequately challenge a muscle through its entire range of motion is paramount, and that is exactly what SmartStrength does. DeChambeau, a student of Greg Roskopf’s Muscle Activation Techniques (MAT), was introduced to PRIME while training with Roskopf at the MAT headquarters in Denver, CO – where PRIME equipment plays an integral role in the application of MAT. As many of you probably already know, we recently announced our plans to launch a brand new line of racks in Q1 of this year. That is still the plan. In fact, we have an official launch date of March 11, 2019. We have to share a quick thing about the launch date, because it really highlights how the level of “nerdy steel guy” our VP is (Sorry Jarrad, had to do it). The launch date is 3/11 because the racks are constructed with 3” tubing of 11 gauge steel. Can’t make this stuff up folks… There’s your useless fun fact for the day! 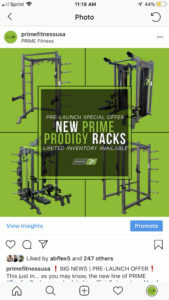 Anyway, about the new racks… they’ll be called PRIME Prodigy Racks and the line will be made up of four rack options, covering a variety of set-ups and features. We’ll be releasing more details about each of the racks as we draw closer to the launch date, but in short, the main idea was to create a line of racks that crammed as much versatility and functionality in to the smallest footprint possible – all while giving the customer the ability to customize them in almost any configuration imaginable. Pretty lofty goal, but we think we did it! You be the judge when they’re released. 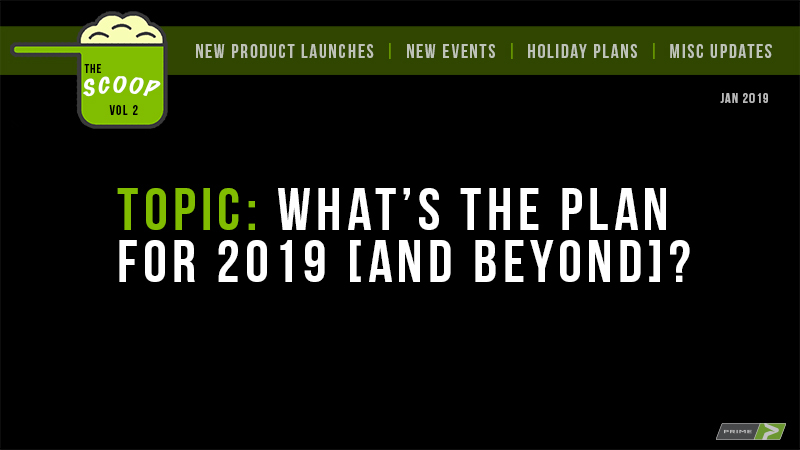 2019 is also a big year for PRIME, from an accessory perspective. Not only will we be adding some new products to our accessory portfolio (more to come on that in a minute), many of our international friends have been asking about international distribution. Well, we are very excited to share with you that we have finalized an agreement with a group in Germany with the infrastructure to fulfill the international demand we’ve struggled to ourselves. They won’t be carrying ALL of our accessory products on day one, but a vast majority of them. Assuming everything goes well with the first shipment, hopefully you’ll see more and more products available later in 2019. We’ll be posting a TON of information on social media very soon about the announcement and details, so if you’re not following us on Facebook or Instagram, get there and give us a follow ASAP! FIBO is just around the corner! For those of you attending, you won’t be able to miss our booth this year! We’ll be in the same place as we have been in past years (Halle 6), but this year we stepped our booth game up big time (see image)! Be sure to come by and say hello! We’ve been getting a lot of questions about if and what products we’ll be taking to sell out of the booth. The answer is simple, we are taking a TON of inventory this year of pretty much everything. That said, we sold out so quickly last year, we have no idea how long it will take to sell out this year. So, if you are going to FIBO and you plan on saving money on shipping and buying your PRIME products at the show, GET THERE EARLY! It’s first come, first served! Lastly, another big piece of news coming in 2019 is about the expansion of Team PRIME! We are in the final stages of a partnership agreement with a very high profile athlete (the 5th ranked player in the world in his sport). We can’t share too many of the details right now, BUT we are incredibly excited to be working with this person and it’s a great opportunity for us to reach a whole new group of fitness enthusiasts and share the message about how PRIME equipment can take athletic training to a new level. Be on the lookout for more details on that later this month! We know that’s a lot to digest, so we’ll keep the updates coming (The Scoop Vol. 3)! PRIME: Abbie, you started with PRIME a couple months ago, how has working at PRIME changed the way you train? Abbie: Since beginning at PRIME, my world has been rocked! With the sheer volume of options available in the PRIME showroom, from the Hybrid, Evolution, and Plate-Loaded lines, as well as the RO-T8 accessories and Squat Wedges, varying my workouts is something that I had not been able to really do to a large degree at my home gym, and that all but eliminates the chance for plateaus. 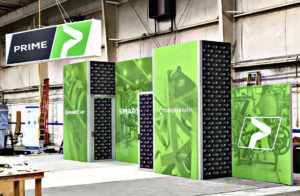 Plus, learning and utilizing the biomechanics of SmartStrength, which is the SmartCam and 3-Peg Torque Arm technology, which allows adjustment of the resistance curve of an exercise, is at such a heightened level of training, that my muscles are working in ways they never have prior to my employment at PRIME. It simply blows my mind every time I make an adjustment and feel the difference! Knowing what I know now, that in all my years of on and off weight training, I’ve never known a truly complete workout, makes me feel like I’ve been missing out the whole time. That “pump” that I have long read and heard about was something I had not experienced, but now do regularly. And I have certainly never been as sore as I have been since starting at PRIME! PRIME: What has been the most challenging part of your job as an Inside Sales Rep at PRIME? Abbie: One part of my job is to reach out to current customers, via phone or email, typically those who have purchased from PRIME’s accessory line, RO-T8 attachments and Squat Wedges, and it can be quite difficult to actually make contact with those customers. I absolutely understand how busy life is, with work, family, etc., but I think it is important to obtain customer feedback to find out what is working, what is not working, what people like and what they don’t like, so the company can improve or make adjustments, if need be. PRIME is constantly innovating, and part of that is based on the wants and needs of those who are actually using the equipment. Also, I enjoy hearing customers’ personal experiences with PRIME. PRIME: Our mantra is FIND Your PRIME, which can mean different things to different people, what does finding your PRIME mean to you? Abbie: Finding my PRIME, to me, is getting to that pinnacle of personal satisfaction as a result of performing at my best. This idea touches all facets of my life, whether it is hitting a personal goal at the gym, feeling a sense of accomplishment as a parent and spouse, or, more recently, embarking on an unplanned career path that has given me a new outlook on life. PRIME: When you’re not at work or in the gym, where can we find you and what are you doing? Abbie: You will find me spending time with my family. I have a wonderful husband, Kirk, and two boys, Griffin, 7, and Parker, 2, and they keep my on my toes, which is a place I love being! PRIME: Last question, who has been you biggest fitness inspiration, and why? Abbie: Dana Linn Bailey, without question! After having children, deciding I wanted to get back into weight training full steam ahead, and reinvesting in my home gym, I was still missing that one motivating factor to propel myself forward. I pulled out one of my old issues of Oxygen magazine, thinking that seeing all those women who inspired me to lift in the past would certainly have the same effect. I opened it up, and there was a picture of this woman who exuded, at least physically, what I viewed as perfection. She had plenty of muscle, yet a striking femininity that I was awestruck by. Upon research, I found a name to go with the picture, and once I began following DLB on social media, I was further impressed by her overall approach to a multitude of things in her life. Her work ethic, commitment to weight training, respect toward fans, and love of animals are just a few reasons why DLB is such a quality role model for women, men, and children alike. The Scoop is a new update we will be doing a few times a year to update everyone on what’s going on at PRIME. As we continue to grow and expand in to new areas and markets, we thought it would be a great way to share a particular moment in time to give everyone an idea of what to expect in the future. Stay tuned for more updates from The Scoop. So, it’s September. Wasn’t it just April like last week? What a whirlwind of a year it has been. Hard to imagine in a few short months we’ll be welcoming in 2019. But, we aren’t there yet and there is still another quarter to crush in 2018. So, the question is, what are we going to do to crush the quarter? The answer: several things. Anticlimactic, sorry. So, the first thing is that we will have the RO-T8 4N1 Handle back in stock and ready for purchase on 9/17 at exactly 5pm EST. So, if you missed your chance last month, or you just learned about the 4N1 since the launch, this is your moment. Own it. (Essentially just mark it on your calendar). With the restocking of the 4N1 Handles, we will also be updating the current RO-T8 Family Bundle to include the RO-T8 4N1 Handle. 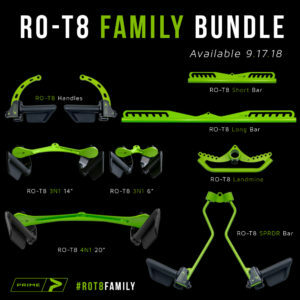 The new RO-T8 Family Bundle will be available for $920 USD. 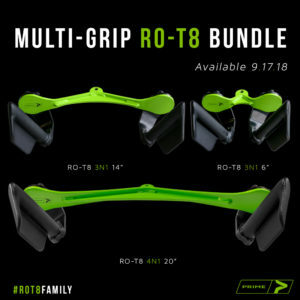 We will also be adding a brand new bundle to the website, the Multi-Grip RO-T8 Bundle. The Multi-Grip RO-T8 Bundle will include both the 14” and 6” 3N1 Handles and the NEW RO-T8 4N1 Handle (20″). This bundle offers 10 grip variations in just 3 attachments! Yes, you read that right. At $465 USD, it’s a small investment to make a big impact to any gym or training facility. 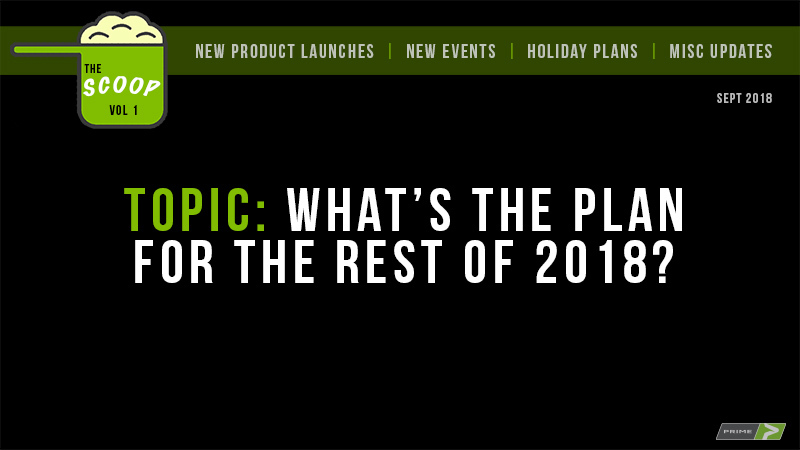 From a new product standpoint, we have two more big launches left in 2018. Again, if you follow PRIME on social media, you’ve seen the new SW | SOLOS we’ve been sneaking peeks of. At 8” wide, the wedges are unilateral, so they can be adjusted exactly to the user’s squatting mechanics and knee path. They literally take the “thinking” out of squatting. It is an incredible example of taking a good idea further to create something even better. The wedges will come as a pair and will be available in 10, 20, and 30 degree options. We’ll be releasing more details and even doing a product giveaway leading up to the launch, which is scheduled for early October, so stay tuned for more on that. The other big launch in 2018 will have to remain a little more of a mystery right now, but we can’t wait to share it with everyone soon. Here’s what we can say, it is a handle variation that takes something relatively ordinary to new heights with a few biomechanical tweaks and a thoughtful design. If you are fans of the RO-T8 Handles, you’re going to love these too! Expect more info soon on the new handles and an official product launch in early/mid-November. Lastly, the holidays, they will be upon us in no time at all. Last year, we heard from a lot of you that you wish we had gift cards to use for holiday gifting. We did a little digging and turns out it’s a pretty simple thing to, so, this year we will be selling gift cards leading up to the holidays. We are currently working on nailing down the details, so keep an eye out for more information in the next couple of weeks! PS – I think just about every single one of you have asked about a “PRIME Near Me” page on the website, where you can find gyms with PRIME nearest to you. It will be live any day now! We can’t wait to finally have a good answer to that question. If you have any questions or feedback, get ahold of us at info@PRIMEfitnessUSA.com.